Hello! I’m Craig Davids from our Albert Park office. You probably already know that if your carpets don’t undergo regular cleaning by a professional carpet cleaner they’ll become damaged permanently with unsightly stains, traffic lanes and discolouring.But there’s an even more urgent reason to ACT NOW!Unclean carpets can also pose a health risk to you and your family exposing them to hrmful air pollutants that creates the perfect environment for asthma, eczema, rhinitis or allergic attack. A highly sophisticated dry-touch carpet and rug cleaning system is used by MyHome St.Kilda. This innovative new cleaning approach leaves carpets walk-on dry in approximately one hour. Our cleaning solutions are infused with Healthguard to effectively eliminate mould, fungi and bacteria from your carpet fibres. Our cleaning method also restores the natural balance, brightness, softness and colour to your carpets. MyHome St. Kilda dry touch system does not leave behind chemical odours or damp carpets smells after cleaning. However, your carpets will be left smelling fresh and fragrant. In order to avoid stretching or shrinking through cleaning, MyHome St.Kilda cleaners will not use harsh chemicals, excessive amounts of moisture or heat on your carpets. We also ensure that we do a good vacuuming of the carpet before the dry touch cleaning service to ensure the best results. People in St.Kilda make use of carpets for various reasons. Some of them enjoy the warmth and others enjoy the coziness that it brings into the home. And almost everyone enjoys the different colours, designs and styles that are available in carpets. Carpets have other advantages too, like insulating your home and reducing your electricity bills. They also keep children and pets safe and warm and they simply add to your own unique idea of style inside your living space. However, you need to keep your carpets clean and smelling fresh at all times. You can do this by investing in a regular and healthy professional cleaning service. 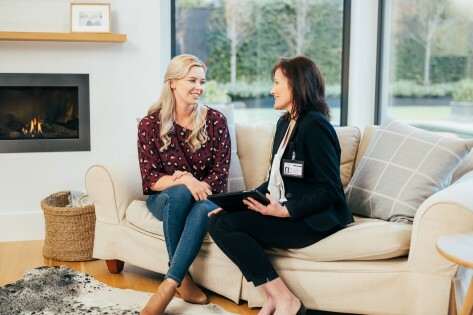 By using professional cleaners like MyHome St.Kilda Carpet Cleaning you will ensure that your carpets are kept fresh and clean for as long as possible. It’s an excellent way to preserve your investment and prolong the lifespan of your carpets. Your carpets will look much better for longer and you won’t have to replace your carpets any time soon. The advantage of using MyHome is that it doesn’t make use of litres of water on your carpets and leaves your carpets dry in approximately one hour. 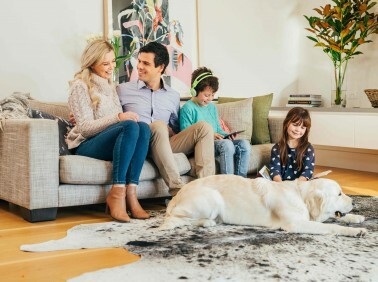 We’re so confident that you will absolutely adore our MyHome St.Kilda carpet cleaning services that if you’re not 100% satisfied, we will do it again completely free of charge. Cleaning your carpets may seem like a relatively easy task, however, finding the right carpet cleaning company may be harder than it sounds. Most carpet cleaning companies make use of the hot water extraction method which uses a mixture of chemicals and hot water to clean your carpets. The hot water method damages your carpet fibres and it also leaves them soaking wet. It also leaves behind chemical odours and a damp residues. So if you’re looking for a carpet cleaning company that’s going to get your carpets hygienically clean without the disadvantages of traditional carpet cleaning, call us today on 13 22 31 and schedule a free, no-obligation quote. Alternatively, you can send us your enquiry online and we’ll get back to you shortly.